When you are suffering from a rotator cuff tear your Doctor will usually recommend conservative (non-surgical) treatment options first to encourage natural healing of your injury. Some of the non-surgical treatments recommended will include exercise to deal with any weakness or stiffness in your shoulder joint. Exercise is also a good way to deal with scar tissue and maintain healthy blood flow in the joint. You regularly play sports involving the full rotation or use of your arm (swimming, tennis, baseball, golf, etc). 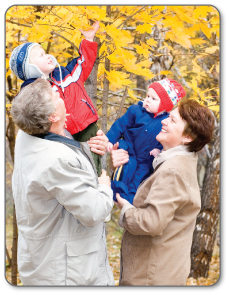 You wish to safely use the full range of your arm and shoulder movement to carry groceries, reach for items on high shelves, or want to stay active with your family. You have a job that requires regular use of your arm or shoulder, like construction, cleaning, assembly-line work, etc. It is important for you to recover from this rotator cuff injury quickly and completely, minimizing the chance of re-injury or chronic conditions (like arthritis or osteoarthritis). You already suffer from degenerative conditions (arthritis, osteoarthritis) and wish to maintain healthy movement in your arm while slowing down the degenerative process. We have Advanced Treatment Tools to Help You Warm Up Your Rotator Cuff Before Exercise and Enhance the Benefits of Your Rotator Cuff Tear Stretching! With Some Breakthrough Products We Have Engineered, Professional Treatment Is Now Available To Anyone Who Needs It. Exercise not only helps you to treat your injury conservatively (without surgery), but it also plays an important role in surgical treatment of the rotator cuff. Surgeons will sometimes recommend a pre-surgery plan that includes specific exercises to prepare your shoulder for the surgical procedure. After surgery, exercise is recommended again as part of your rehabilitation for the rotator cuff surgery recovery process. At that stage you may work with a physical therapist to learn proper exercising techniques. Exercising focuses on enhancing the flexibility of the muscles, tendons and ligaments in your rotator cuff, while also strengthening surrounding soft tissue. In the body, all things are connected. So when you are trying to heal a rotator cuff injury you will need your surrounding (non-injured) muscles, tendons and ligaments to be strong and healthy too. This is because the surrounding soft tissue will help to distribute the weight of carrying or reaching while you recover from your injury. The most amazing thing about torn rotator cuff exercising is that any stretching that you do can be greatly enhanced by also using your body's natural way of healing. Your body uses your blood supply to heal. Even if you don't receive enough blood flow to the location of your rotator cuff tear, you can still treat yourself in a way that gives your natural blood flow the boost it needs to reach further into your torn shoulder tissue. Working with your blood flow is an easy process that can be made even easier with the treatment tools available from AidMyRotatorCuff. Before you start stretching your weak, tight, stiff rotator cuff tissue, increase the elasticity of the soft tissue in your shoulder by undergoing a T•Shellz Wrap® treatment. This is a warming therapy that substantially increases the flow of blood to your injured shoulder and reduces the risk of re-straining damaged tissue by gently warming the affected muscles, tendons and ligaments. Increased blood flow means more healing nutrients, oxygen and antibodies are delivered to the targeted area which means faster, more complete healing of your damaged tissue. 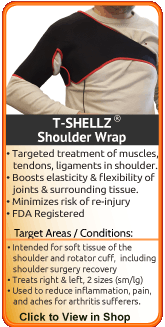 The only way to get Deep Tissue Therapy while treating yourself at home is through use of a Shoulder T•Shellz Wrap®. Right after you are done exercising you need to reduce pain and swelling to prevent re-injury of your rotator cuff. This can be done using a Cold Compress or Ice Pack. Use cold therapy after stretching will numb your pain in a comforting way, get rid of your swelling and stop tissue damage in your rotator cuff on a cellular level. This treatment will dramatically reduce the amount of fluid leaking into your shoulder joint, decrease pressure being placed on your blood vessels, and open the pathways necessary to deliver blood flow right into your torn rotator cuff. 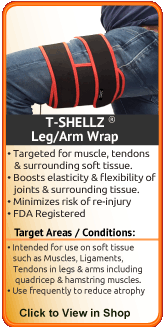 A Deep Tissue Therapeutic TShellz Wrap reduce risk of re-injury or further straining during stretching/exercise. A Cold Compress or Ice Pack to reduce inflammation in your shoulder (use as soon as possible after stretching/exercise). How Successful Are Your Rotator Cuff Tear Exercises? Stretching is an important part of any injury recovery process. Stretching has been known to aid in the increase of healthy blood flow circulation, flexibility, and range of motion - all of which help to decrease your pain and speed up in the natural healing process of your soft tissue. 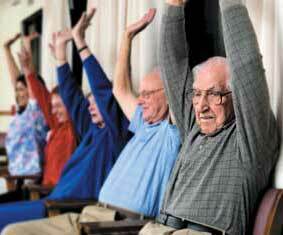 When you stretch and hold a stretch, the action of stretching lengthens your muscles, tendons and ligaments. Movement of any kind is an essential part of recovery from a torn rotator cuff injury, rehabilitation after rotator cuff tear surgery, or managing on-going shoulder pain from injury, re-injury or degenerative conditions (like arthritis and osteoarthritis). There are a lot of misconceptions about stretching - like how to stretch, when to stretch and how long to hold the stretch. In some ways, your stretching can be completely ineffective if you aren't following some very basic guidelines during your stretch. Improper stretching can also lead to more pain, re-injury or even more tearing in your rotator cuff. Stretching is such a vital part to recovery, but the idea that "any stretching is good stretching" is completely wrong. If you aren't going to take the time to stretch properly, speak to your doctor, meet with a physical therapist, learn what stretches will help your condition and the techniques to properly stretch, then you aren't involved enough in your own injury recovery process. Are you stretching your rotator cuff (muscles, tendons, ligaments) and shoulder joint when they're "cold"? Is your stretch consistent and stable? Are you holding the stretch long enough? Are you "cooling down" properly after stretching? Learning these details will help you in making sure that your rotator cuff exercises will have a long-lasting positive impact on your recovery process. One of the most common mistakes people make when stretching is thinking that you're supposed to stretch before initiating activity. If you're not an athlete, then you might not know about "cold" stretching and may be doing this every time before your workouts. Static stretching can be harmful to your body if you aren't warming up properly first. Doing static stretching on "cold" soft tissue (that has not had a chance to warm up) will be forcing your tissue to lengthen and extend and will only tighten up your injury tissue further. Some studies have found that static stretching without a proper warm up will actually decrease muscle strength by 30%. Your tissue may even stay in a weakened state for 30 minutes after your stretching. Now it's obvious to see why for these reasons you should be properly warming up your shoulder before stretching - and the best way to do that is to increase your blood flow to increase oxygen intake to your muscles, tendons and ligaments. (reference: 1). Moving or bouncing your arm while stretching in a static (unmoving) pose can actually do you more harm than good. Bouncing into stretches can cause tearing in your rotator cuff (muscles, tendons, ligaments) that will lead to the growth of more scar tissue in your shoulder. This scar tissue will further tighten the area making any movement or activity even harder. It's important that you keep a still position when stretching a shoulder injury to make sure that the stretch is benefiting your injury instead of making it worse. Holding your stretch for 30 to 60 seconds is important to actually gain benefit from the stretch being performed. Stretching for less than 30 seconds will not provide a difference in flexibility or lengthening the soft tissue in your rotator cuff (muscle, tendon, and ligament fibers). Stretching for more than 60 seconds can tighten and stiffen your rotator cuff because you're leaving your tissue in a fully contracted or extended position which will result in lack of circulation in your shoulder. Rotating or raising your arm too far into a stretch can also be harmful to your recovery process. If you feel pain at all when stretching you are most likely going too deep into the stretch and attempting to extend your rotator cuff too far. In some cases, your shoulder might start to fight against your stretch, which is a natural muscle response. Muscles have memory and they know the range of motion that's safe for your to go into and hold a stretch. If you try to stretch beyond that natural range of motion your muscles will try to stop the stretch and push back against your efforts. After stretching your soft tissue you need to increase blood flow circulation and treat any new micro-tearing in your rotator cuff. This is when a proper "cool down" is essential to make sure that your tissue is receiving enough oxygen by increasing your blood flow. This can be done easily by applying cold to your tissue after stretching. Cold will bring blood flow away from your arms and legs to centralize it into the core of your body near where your injury is. Increasing blood flow is a quick and easy way to supply the much-needed oxygen to your tissue. Cold applied at this time will also nip any swelling or inflammation in the bud so you won't feel the pain and swelling that usually comes with new tissue damage. Are Rotator Cuff Tear Exercises Enough to Fully Recover from Injury? Stretching can only do so much to help you recover from your rotator cuff tear. If you're attending physical therapy appointments then you'll soon see that physical therapy only gives you a small amount of time (a few weeks) to recover from your torn rotator cuff injury. Even if you have surgery, you'll only get a few weeks of physical therapy for post-op rehabilitation. It's important that you understand that a short time at physical therapy with on-going rotator cuff stretching under the guidance of a medical professional can be helpful, but it's merely the beginning of your journey. Stretching is important, but what should you be doing to make sure that your stretching is having a lasting impact on the recovery of your rotator cuff tear? For most people suffering from a rotator cuff tear, exercise is only the beginning. In order to fully recover, you need to augment your rotator cuff tear recovery with conservative treatment methods done at home on a daily basis. Continuous movement and stretching is the only way to regain range of motion in your shoulder and prevent atrophy (wasting away) of your deltoid, bicep, tricep and forearm muscles. What truly makes a difference to your overall rotator cuff injury recovery and rate of healing is your commitment to a long term recovery plan that includes regular stretching and use of conservative treatment tools at home. Ask any doctor or physical therapist and they'll tell you that the success of your rotator cuff tear recovery and/or surgery depends on your level of dedication to regular at home care of your shoulder injury. The best way to add to your exercising at home (and any stretching under the guidance of a medical professional) is use of conservative treatment tools that will help you to "warm up" and "cool down" your tissue. This requires an increase in blood flow before stretching and a decrease in any pain and swelling after stretching. The only way to increase blood flow on your own is through cardio, aerobic activity, or continuous movement. This might sound easy to do before your injury, but can be difficult to achieve when you've torn your rotator cuff. So what do you do when you need to warm up your tissue before exercise but you can't move your injury? This is where use of conservative treatment tools, like a Shoulder TShellz Wrap, can boost your blood flow without having to move your already injured rotator cuff. A Shoulder TShellz Wrap will provide Deep Tissue Regeneration Therapy that increases the elastic nature of your soft tissue. After stretching, use a Cold Compress or Ice Pack during your "cool down" TO naturally relieve pain and swelling caused by stretching (especially if you have over-stretched or deepened the stretch too much). Most of our clients have treated themselves successfully through regular use of our Shoulder TShellz Wrap. Our clients will even combine these therapeutic treatments with the rehabilitation plan recommended by their doctor, surgeon or physical therapist. Using these therapies (on a regular basis, as suggested in the product instructions and under the guidance of your doctor) will boost the effectiveness of your stretching (providing long-lasting benefits), and lessen the chance and/or severity of joint degeneration, muscular atrophy, re-injury or other shoulder pain during your recovery process. Part of recovery is building a plan for successful healing that includes 3 essential elements: a warm-up, stretching and a cool down. This 3-step approach is also used in every physical therapy setting. It's a process that provides the best results and impact of your stretching. For this 1st step many physical therapists will use heat, manual manipulation, deep tissue massage, clinical ultrasound devices or a warm bath to warm up your rotator cuff and the entire shoulder joint. The goal during this first step is to increase healthy blood flow circulation and relax your soft tissue. Warming up your shoulder will increase the elastic nature of your tendons, ligaments, and muscles, making it much easier to stretch, and when needed, hold the stretch. This will also extend the amount that you will be able to stretch your rotator cuff. Use a Shoulder TShellz Wrap for 15 to 20 minutes at least half an hour before your rotator cuff exercises. A TShellz Wrap will promote Deep Tissue Regeneration Therapy (Deep Tissue Therapy) - a therapy that will increase the blood flow to your rotator cuff tear while warming up and relaxing your injured tissue. Deep Tissue Therapy will make your muscle, tendon and ligament fibers more elastic and pliable, allowing for more ease of movement when you're stretching. Continued treatment with Deep Tissue Therapy will also deliver much-needed oxygen, nutrients, antibodies and energy to your rotator cuff. This will boost your own natural healing ability and speed up your time for recovery. Stretching your rotator cuff is meant to increase range of motion and strengthen all of the supporting tissue in your shoulder. When stretching your shoulder it's important to also develop the surrounding muscles in your arm as they will be taking on some of the work that your rotator cuff can't handle. Strengthening your entire arm will also give you a better chance of slowly improving the mobility of your shoulder. Your shoulder will only be as healthy and pain free as you make it with doing your daily stretching exercises. Gaining back your mobility is critical to developing a healthy joint. Toward the end of your appointment your physical therapist may introduce cold compression, acupuncture, or TENS to relax your rotator cuff after the intense stretching and exercise. Use a Cold Compress or Ice Pack after stretching, or whenever you feel sharp pain as it will relieve any on-going pain and swelling while preventing full-blown inflammation from returning after your stretching. Start with a 20 minute treatment directly after stretching and apply more cold compression whenever you need to relieve pain and inflammation in your shoulder. The first thing to do is speak with your doctor. Only your doctor can give you a proper diagnosis and from this, determine a course of proper treatment. Unless you need surgery to fix your torn rotator cuff, your doctor will almost always recommend conservative treatment options - conservative treatment options for a rotator cuff tear typically means rest, ice the injury, elevate the injury and take anti-inflammatory medication. 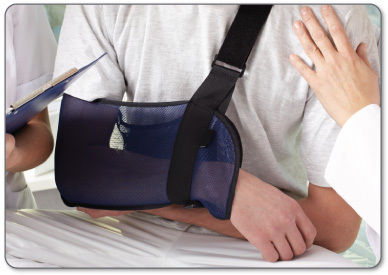 Second, if your doctor has decided that your injury can be treated with conservative treatment options, then you'll find that many of our customers have had great success treating themselves with our Shoulder T•Shellz Wrap® and accessory products. Or, if surgical intervention is required, talk with your doctor about using these same products for post-surgery recovery as you will find them to be effective for reducing post-surgery inflammation, enhancing range of motion and minimizing scar tissue growth. ... and Re-injury to your rotator cuff must be avoided at all costs! Constant re-injury (you know when it's happening, you can feel the pain) needs to be avoided at all costs. Obviously, it delays the healing process, but what's worse is that every re-injury and additional healing cycle increases the amount of scar tissue that builds up in and around your rotator cuff injury. Scar tissue is hard, inflexible, and tough to get rid of. The more severe your rotator cuff injury is, the more likely that this scar tissue will fill into the tears in your rotator cuff, also attaching to all of the surrounding healthy tissue. This added scar tissue will restrict your ability to control the movement of your shoulder. Scar tissue also makes your rotator cuff much more prone to injury again later on. The more scar tissue that develops, the more you lose the range of motion in your entire shoulder joint. Continuous re-injury and build-up of scar tissue while staying active means you'll have a greater chance of winding up with on-going pain, more tearing in your rotator cuff and tearing or weakening (atrophy) of surrounding tissue (ligaments, tendons, muscle). 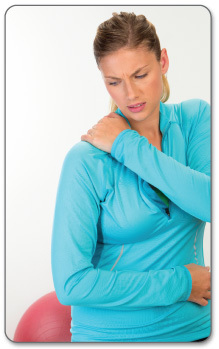 If you have pain and inflammation in your shoulder, it's very important to heal your injury quickly and completely. You must avoid the build up of scar tissue. If you don't, your rotator cuff injury may plague you forever. This is why it's so important to continuously use conservative treatment tools to heal any recurring rotator cuff damage before it can build into something big. For any rotator cuff tear sufferer, having the right tools means all the difference. Everything in the human body is connected. Any rotator cuff injury can lead to other injuries over time if not treated properly. You might start lifting with and using your opposite arm when performing normal daily activities, like brushing your teeth, brushing your hair, carrying or reaching for things. You may also try to rely on your opposite (healthy / stronger) shoulder and arm to get yourself back to work, activities or your sports sooner to avoid waiting for your rotator cuff injury to heal completely. Many of our clients have experienced pain in the affected arm's elbow and their opposite elbow or shoulder because they shift their lifting weight and use to the opposite arm. For example, you might normally reach for items off of higher shelves with your right arm, but instead will use your left arm while your right arm heals. Even though changing something like this seems like a really small thing, changing the way you would normally reach and grab for things when your body isn't used to that can result in pain and injuries in your healthy arm. Over time you'll notice that you automatically start to put more weight on your non-injured side to cope with everyday activities. When you experience pain on the opposite side of your body, this is something called "over compensation" pain. Usually the rotator cuff will get torn in your dominant shoulder (if you are right handed, this would be your right shoulder). When this happens there is a higher risk that you'll over-strain your weaker arm that's compensating for your injury, because it's just not as strong as your dominant side. The Shoulder T•Shellz Wrap® is the best treatment available to deal with over compensation issues and injury prevention by maintaining healthy blood flow in EITHER shoulder. It works on the LEFT and RIGHT shoulder! Even if you try to avoid over compensation pain in your healthy arm you're still at risk for re-injuring your damaged rotator cuff. Ignoring over compensation pain and the pain felt from your rotator cuff injury while returning to regular activities or your job can lead to even more problems with healing. If you have a torn rotator cuff, it's very important to heal it quickly and completely. Minimizing the healing time should be an obvious goal, as a chronic rotator cuff tear will limit your ability to go about your daily routine for a long period of time. A seemingly small, nagging injury in your shoulder that's not properly treated can lead to a chronic painful degenerative rotator cuff injury that can persist for months or even years if not properly treated. If you have a rotator cuff injury or you're recovering from surgery, you can heal quickly if you treat your injury correctly. That means using the right therapies every single day. For conservative treatment of pain and swelling in the rotator cuff - even after surgery - use cold therapy to get the swelling down to "open up" the area for more blood flow. Anyone in the health-care business knows that your blood supplies the oxygen and much needed nutrients required for your body to heal naturally after surgery. This is why doctors and surgeons recommend cold compression therapy within the first 72 hours of an injury and following rotator cuff surgery. 24 to 72 hours after your initial injury or when you first notice pain and swelling in your shoulder to stop cellular damage, relieve pain, and decrease swelling. Anytime your shoulder feels tender, painful or you're having a flare-up of an old rotator cuff injury. There are a lot of people that think their rotator cuff tear is gone after their swelling and inflammation are gone and their shoulder feels better. They also make the mistake of returning to regular activities too soon without proper time for healing. The truth is that healing takes time and after the swelling is gone your rotator cuff injury isn't even close to being fully healed. Have you recently re-injured your shoulder by returning to your normal daily activities too quickly? How many times in the past have you aggravated your shoulder just trying to perform basic tasks around your house? 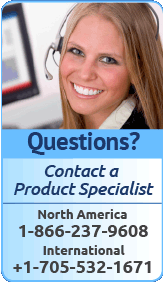 Is your torn rotator cuff preventing you from work or activities you love to do? Most people we deal with tell us these scenarios have happened to them many times in the past. The real challenge is how to promote blood flow to your injured rotator cuff without causing further damage. This goal is even more complicated by the fact that you have to use your arm for almost everything in everyday life. What Should I Expect to Feel With a T•Shellz Wrap® Treatment? Our TShellz Wraps are designed to produce a lot of ElectroMagnetic Energy, and in doing this, some surface heat on the wrap might be present. You will find the treatment comforting and relaxing and there will be no shocks, pulses or vibrations. You may feel some of the by-products of increased blood flow, and this is usually manifested through a slight tingling or a warming sensation. The more treatments you do, the more this will lessen, and this is a good sign! It means the bloodflow in the treatment area is improving and your bloodflow is removing the heat byproduct much more efficiently. After treating your soft tissue injury with TShellz Wraps, you will arrive at a point where there is no longer any pain and you find that you can get around much more easily without pain. This often happens after a couple days of treatments and some rest on the sofa. Be careful! This is often where trouble can start. Since the pain is gone, you can mistakenly start thinking your injury is healed. Not knowing this, we start become active like we used to again and in so doing, interrupt the healing process and start to stress the partially injured shoulder, often re-injuring it again. We continually re-injure the rotator cuff injury through our daily activities and now this injury has become a chronic shoulder injury. Eventually, we use the other shoulder more and more - or even use our elbow instead of our shoulder for a lengthy period of time. This is why the elbow and opposite shoulder start to hurt, and then really hurt - they are being overused now. Soon, aches and pain can become commonplace in the upper body - all as a result of the orignal shoulder injury and the body's instictive nature to "protect" the orginal rotator cuff injury. With a chronic soft tissue injury, odds of surgery increase as do the odds of more soft tissue injuries due to overcompensation. What I'm saying is this: once you start feeling better and the pain has disappeared, your injury is still there. Depending on the type of injury and/or condition, it may take another 4 months to heal. 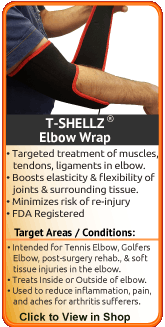 Keep treating the area with TShellz Wraps at least twice per day as Deep Tissue Therapy will continue healing your injury. When applied before activity or work, the TShellz Wrap will also relax and lengthen your soft tissue to help improve your range of motion and prevent atrophy of the injured shoulder. Continued treatment with a TShellz Wrap will maintain good health in the soft tissue and significantly reduce your risk of re=injury. Your rotator cuff tear will heal at an accelerated rate with reduced potential for re-injury. Before exercise or workouts to warm up your shoulder to prevent re-injury. Before and after rotator cuff tear surgery, during rehabilitation, to warm up your shoulder before physical therapy exercising or stretching. Anytime you feel your shoulder has stiffened up, is tight and your mobility is reduced causing you more pain. 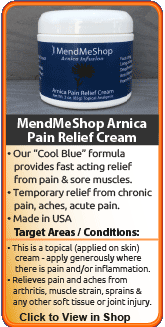 Anytime you have sore or aching tissue in and around your rotator cuff. Any other situation where you need to increase blood flow to your shoulder to relax your soft tissue, relieve pain, prevent re-injury and enhance flexibility of your tissue. During your recovery, you may have to modify and/or eliminate any activities that cause pain or discomfort in your shoulder joint until your pain and inflammation settle, and you gain more mobility and strength in your shoulder. The more diligent you are with your treatment and rehabilitation, the faster you will see successful results! If you want to avoid re-injury, or manage pain and increase circulation for lifelong health benefits, a Shoulder TShellz Wrap will provide the results you are looking for. Why spend time in pain, off from work, and missing out on your active lifestyle when you can be proactive about your injury and the health of your body? Talk to your doctor about incorporating a regular routine of using a T•Shellz Wrap®. Call one of our AidMyRotatorCuff Advisers at no cost or obligation to address any lingering questions you have about using heat or cold for your rotator cuff injury - toll free 1-866-237-9608.